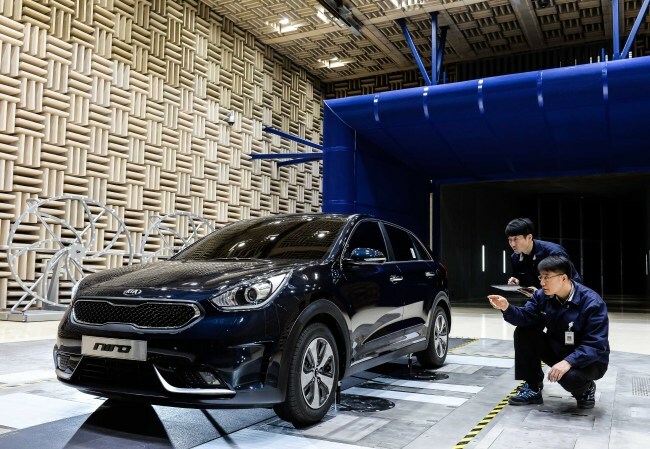 Kia Motors has set its sights on the compact sport utility vehicle market this year, armed with its first hybrid SUV, dubbed the “Niro,” to cement market leading status in the leisure vehicle market. The Korean automaker stood ahead of its sister firm Hyundai Motor in sales last year in different recreational vehicle segments, except the small SUV market in which the carmaker has no flagship model. Niro, which made its global debut at the 2016 Chicago Auto Show in February, is Kia’s first green car built on the automaker’s dedicated eco-car platform.